Love all of your cards today Maile! You stole my heart with your first one though, being a child of the 50's. Your color combo of Aqua Mist/black is just stunning. 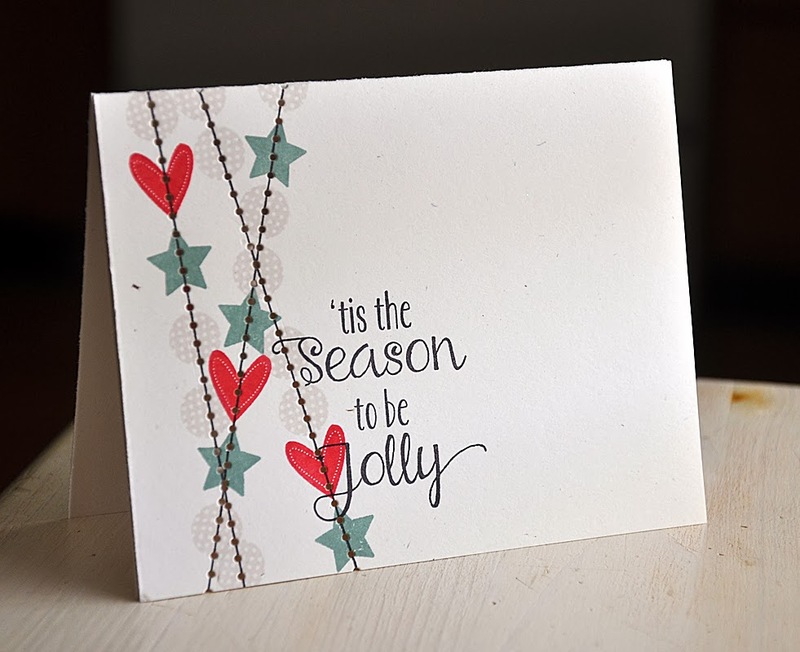 And your new sentiment set will be a great addition to my Holiday sentiment collection! Yay!! Loving your cards!! 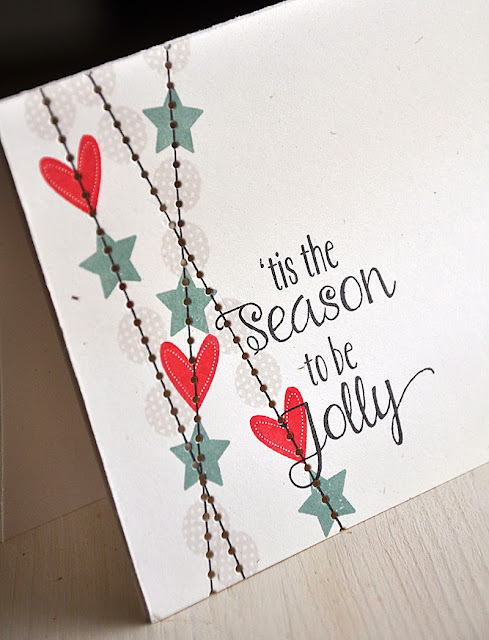 Especially Tis the Season and Let It Snow! Your style is clean and fresh, beauty to applaud! Love all three of your cards, cannot even pick a favourite! The colour combo on the first is striking and yes, has a 50-60's vibe and the last whimsical card...great movement! 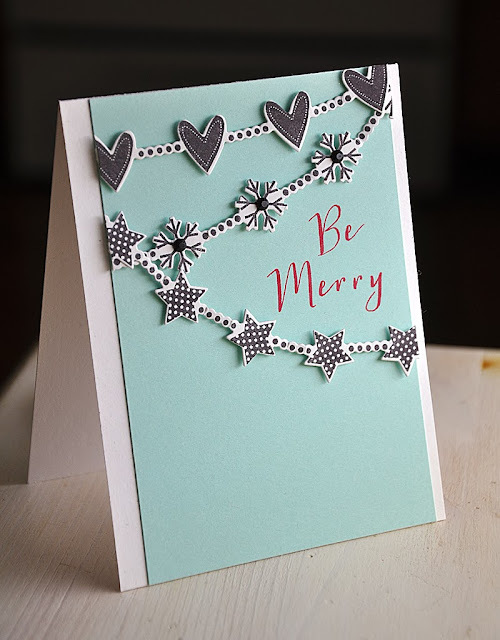 Love these cards - they are so different and pretty! Fabulous use of Confetti Garland Borders...I'm in LOVE!! I love everything about the Tis the Season card. The colors are really nice and I will CASE the way you used the stitching lines die! Very very clever! Super cute! Your cards always blow me away with their breathless simplicity. 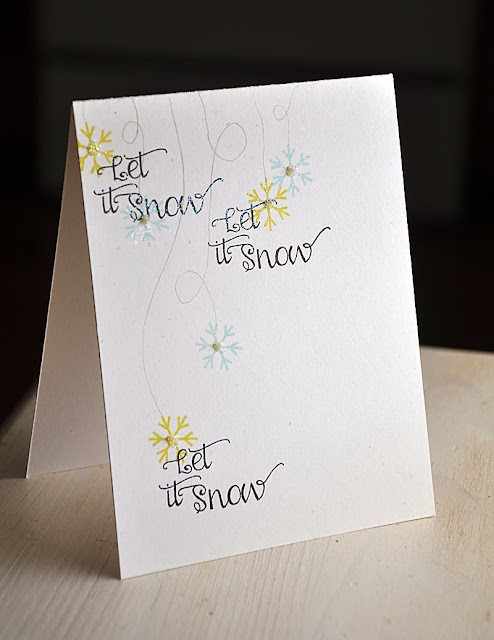 Every year I aspire to pare down my holiday card making to be as Maile-esque as possible. I fail spectacularly, but it's fun trying and I'm sure I save myself at least a couple of layers in the process! I love the faux stitching! 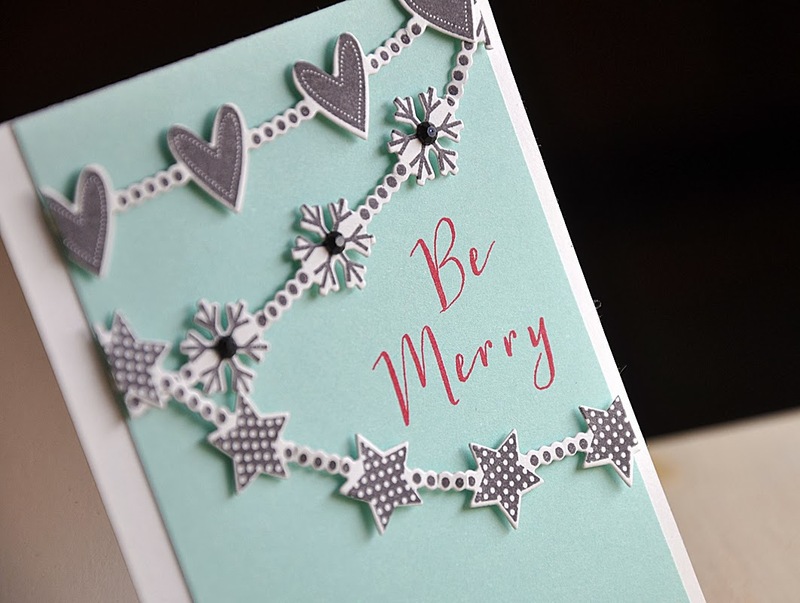 Love all three, but Be Merry is just too too fab! What beautiful cards - but then they always are! I didn't think I liked the stat he'd lines. Now I see the possibilities. Like all your cards. I am really likin' the one you incorporated the stitching die onto it. So creative. 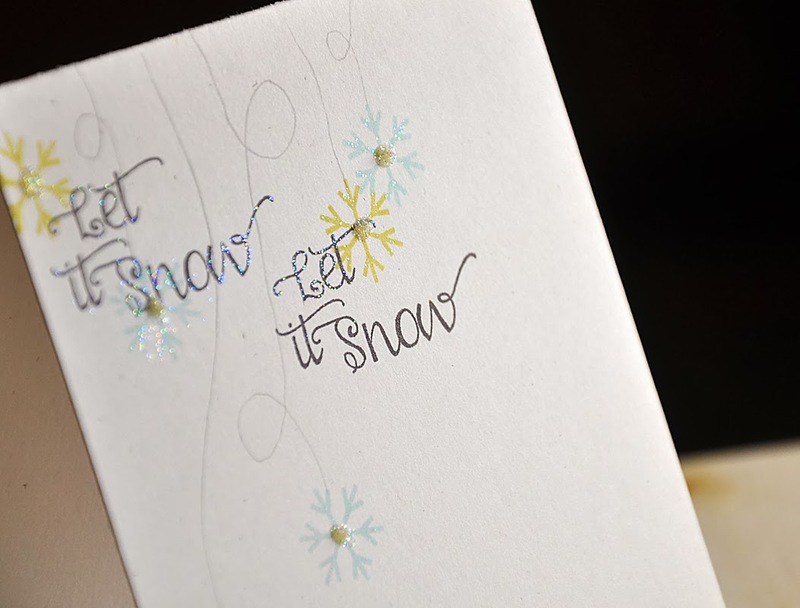 I love the 'Let It Snow', simple and oh so pretty. I love the confetti garland on the blue! Just love that last card. The font on the sentiment is so whimsical and fresh.